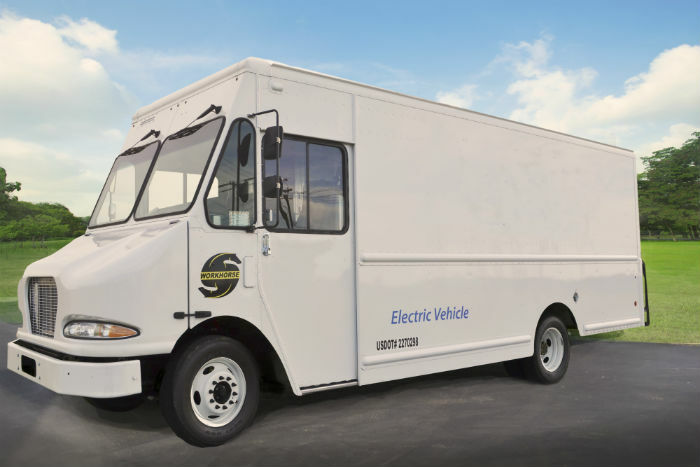 Workhorse's electric vehicles are in testing with several companies, including UPS. Workhorse Group, a technology company focused on offering sustainable mobility solutions, announced a new public offering of its common stock to raise additional funds as it works towards profitability. There is also no set end date for the sale or size of the offering at this point. The underwriter will receive a 45-day option to purchase up to an additional 15% of the shares of common stock offering in the public offering cover over-allotments, Workhorse said. National Securities Corporation, a wholly-owned subsidiary of National Holdings Corporation (NASDAQ: NHLD) is acting as sole book running manager for the offering. Workhorse said it will use the proceeds for working capital, general corporate purposes and repayment of debt and other obligations. Workhorse makes electric step vans and the Horsefly delivery drone. It will be having a public presentation of an all-electric W-15 pickup and its Surefly personal helicopter next week in New York City. The company has 44.11 million outstanding shares of stock, currently listed on the NASDAQ exchange (NASDAQ: WKHS). It closed on Wednesday at $1.25 a share. It has a 52-week price range of 1.24-$3.82 and a company market cap at the close of Wednesday’s market of $58.66 million. The stock is down 54.55% in the past three months. On Monday, the company announced second-quarter 2018 sales were down year-over-year from $252,000 to $171,000. The company’s net loss improved to $6.9 million from $9.2 million a year ago, but the company’s CFO, Paul Gaitan, cautioned investors about making year-over-year comparisons. Workhorse has been working on a number of initiatives that it hopes to scale, including its N-Gen next-generation electric van family. “Our N-GENs family of electric vans represents a clean sheet of paper design, which was developed with a clear goal of being sold our customers for the same price it would pay for an equivalent diesel truck, and for us to be able to make these vehicles at a positive gross material margin,” said Steve Burns, CEO. Workhorse will offer N-Gen vans in 200, 450, 700, 1,000 cu.-ft. models. The 450 and 1,000-cu.-ft. models will be available first, later this year. According to Burns, during testing, the 400-cu.-ft. model has achieved a 40-mpg equivalent and the 200-cu.-ft. version is at 75 mpg equivalent. Burns also said Workhorse has added “blue-chip customers who have signed on to purchase initial launch quantities of our N-GEN vehicles,” although he couldn’t disclose the customers yet. Another vehicle about to launch is the W-15 electric pickup. Burns noted the company has pre-sold $300 million worth of the pickup to U.S. fleets. Burns also touched on the Horsefly drone project, for which Workhorse has now received a patent. Finally, Workhorse is one of the companies that has submitted vehicles for the United States Postal Service to test as USPS looks for its next-generation vehicle. While Burns said he can’t speak to the program due to specific USPS rules, he thinks a decision on that vehicle could be coming soon. “We still believe that the timeframe for a potential decision is by the end of our current calendar year, and we remain very pleased with how our trucks are performing in the testing process,” he said.